A new survey from English Heritage has found that listed industrial buildings are at the highest risk of severe neglect. Around 3% of standard grade I and II* listed buildings in England are considered to be at risk, while a staggering 11% of industrial grade I and II* listed buildings are in the same category. Grade I and II* industrial listed buildings in England cover a variety of structures from across the industrial spectrum including Battersea Power Station. According the English Heritage the problem is not a lack of appreciation from the public. A poll of public attitudes carried out on their behalf shows that 86% of the public agree that it is important we value and appreciate industrial heritage and 80% think it is just as important as our castles and country houses. Despite English Heritage’s obvious concerns about the future of listed industrial heritage sites, it seems that they have some problems categorising the status of some of these sites. 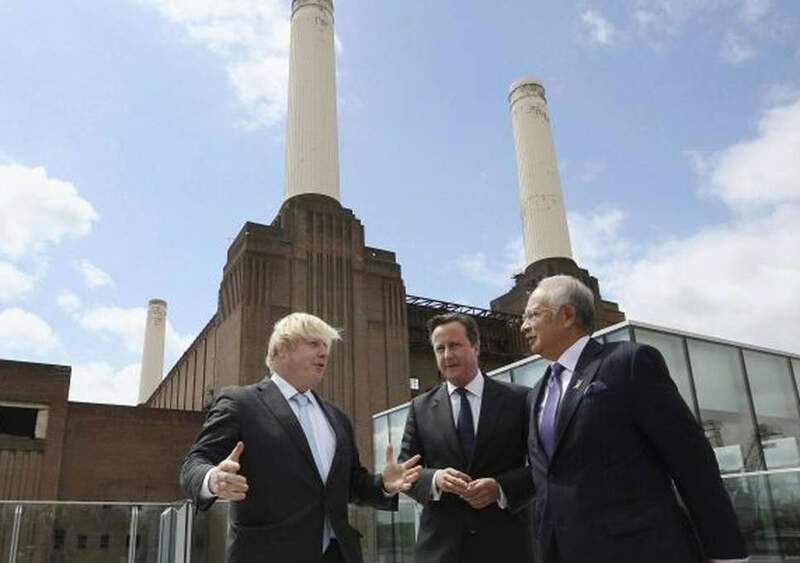 Their 2011 Heritage At Risk Register lists both Battersea Power Station and the Victorian Battersea Pumping Station as “Priority D”. This means “Slow decay; solution agreed but not yet implemented”. Which is ambiguously incorrect on both fronts. There are two problems here: 1, “D” has been the status of the power station for decades now and little has changed. 2, the fact that legal agreement is required means that a solution has not been agreed. Priority D is therefore the developers ideal status. 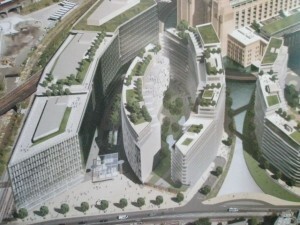 Using the “big bang theory of redevelopment” implementation of the “solution” can be almost permanently postponed. Rather than phased conservation and restoration the heavily indebted REO insists their preposterous scheme to “save” the power station depends of a new tube line being dug, which of course will never happen. They claim that their “solution” to restoration depends on the creation of a whole new urban area- a scheme that looked unlikely even in the height of the property boom. Meanwhile the building falls into decay and eventually will require demolishing for safety reason giving the developer a clear conscience and nice clear piece of land to build on. Never mind that the nation loses one of its most iconic industrial buildings that are ‘as important as our castles and country homes”. Of course the developers could “moth ball” both buildings until such time that a genuinely appropriate and viable solution comes along, but there is no need to speculate on why they won’t do that. The unauthorised use of the grounds of the Battersea Power Station as a private helipad has received no action under the ENFORCEMENTS section of the Wandsworth Council’s Planning Application Committee agenda to be discussed at today’s meeting. this site within the power station is logged by the Battersea Heliport and its monthly returns shows that the current level of movements is between 14 and 56 per month over the last year, an average per month of about 35 movements. This compares to a monthly average of between 30 and 51 movements per month over the last ten years, with a peak in activity during the months of May, June and July 2007 (93, 96 and 92 movements, respectively). Power station for the take-off and landing of helicopters, based on the current level of usage, and that the complainants be informed accordingly. One rule for the rich and powerful, and another for smaller, less well-connected enterprises? The rejuvenation of Ellis Island provides a concrete and successful testament to the possibility of community led re-development for Battersea Power Station, and evidence that existing derelict structures need not be pulled down in their entirety to proceed with restoration. 12 million immigrants were processed at Ellis Island by the U.S. Bureau of Immigration between 1892 and 1954, but the island since fell into disrepair. Although attempts at restoring the site were initially unsuccessful, the island was proclaimed a part of the Statue of Liberty National Monument, and its listed status led to proposals to refurbish the buildings and adapt them into a museum. 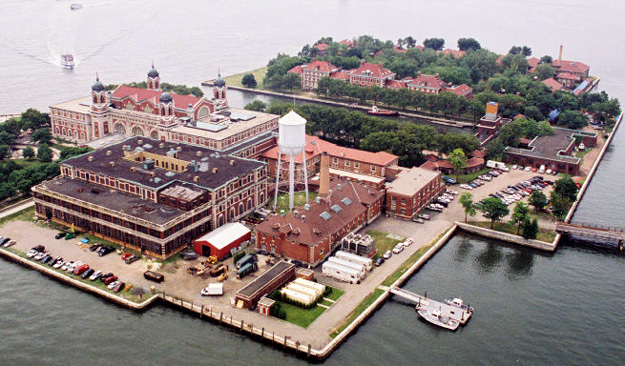 Run by the National Park Service, the museum hosts exhibitions, houses additional community film theatres and also a library thanks mainly to the fundraising of the not-for-profit organisation Save Ellis Island. Battersea Power Station Community Group have been championing similar ideas of a public heritage and programme space in and around the old pumping station for years that could serve the local area without the necessity of tearing down the chimneys, which seems to be the desire of the current developers REO despite public declarations to the contrary. 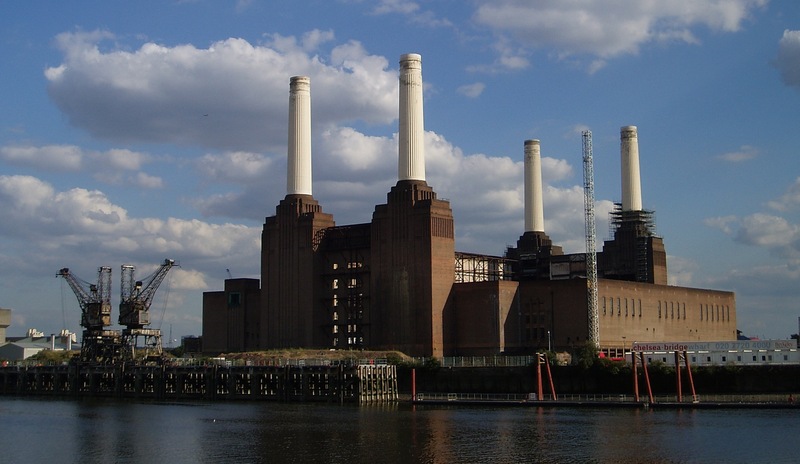 Click here to read more about the latest developments at Battersea Power Station, its significance and Spectacle’s Battersea project. Rafael Vinoly claims his designs for the monstrous and greedy buildings that will obscure and dwarf Battersea Power Station are inspired by Regency Terraces such as those around Regents Park. This suggests that he has never actually seen Regency buildings or he has a post-ironic sense of humour. His designs have none of the sense of scale, proportion or elegance of Regency architecture. 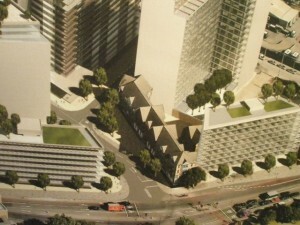 No thought has been given to how they interface with the street level. They are monotonous and ugly. They are designed to be the maximum height possible, level with the “shoulder” of the power station, thereby making the beautiful Power Station almost completely hidden from view except from across the river. It is hard to imagine buildings less Regency in style, is it possible that he was mistakenly looking at pictures of rejected hotel developments in Marbella or Malaga? 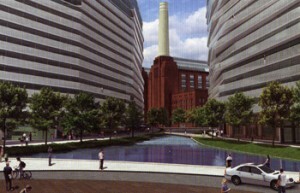 Note how the much trumpeted “public space” around the Power Station is in fact water and therefore unusable, a trick learned from Centre Point. 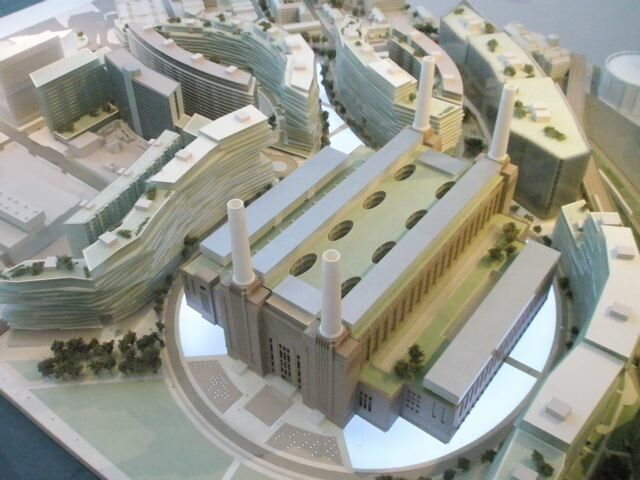 Objections to the Battersea Power Station Planning Application must be in by 31st January and there is plenty to object to. Demolish the historically interesting and currently listed Pumping House. Demolish the chimneys and replace (yeah right) with some kind of plastic replicas. Build some of London’s ugliest and greediest office monstrosities. Privatise large sectons of land around the power station. 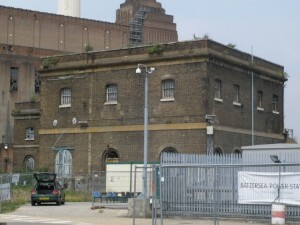 Knock windows into the Power Station so they can build “luxury” flats. The vast planning application contains many real hidden horrors, obscured by red herrings such as the Battersea extension of the Northern Line which is never going to happen and the ridiculous roof top swimming pool added to the model at the last minute. Ref: 2009/3576 Alter or Extend a Listed Building, the demolition and reconstruction of the chimneys, new windows and other openings. We will be updating this blog this week with more information on the planning application and suggestions for model letters.